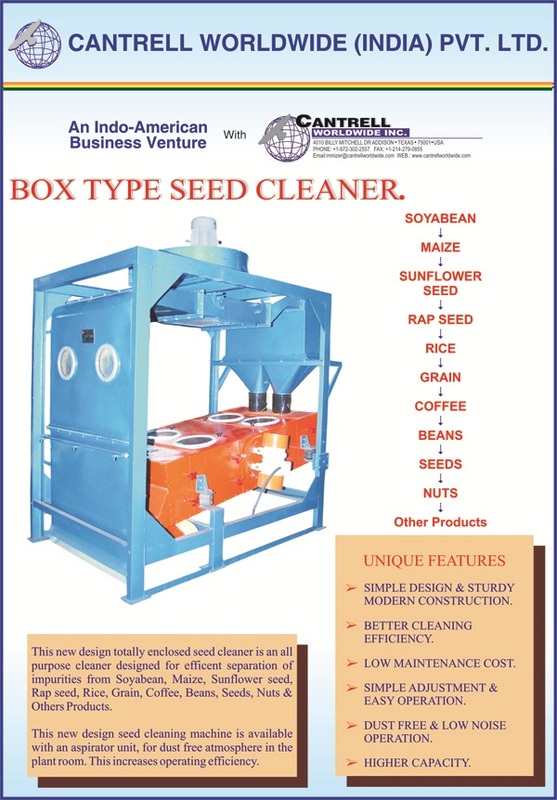 This new design totally enclosed seed cleaner is an all purpose separator designed for efficient separation of impurities from Soyabean, Maize, Grain, Coffee, Beans, Seeds, Nuts & Other Products. This new design seed cleaning machine is available with an aspirator unit, for dust free atmosphere in the processing area. This increases operating efficiency. 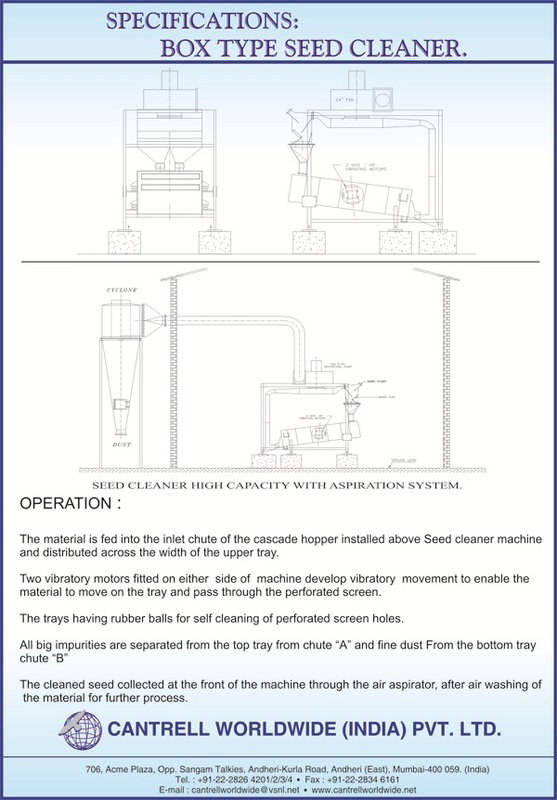 The material is fed into the inlet chute of the cascade hopper installed above the seed cleaner and distributed across the width of the upper tray. 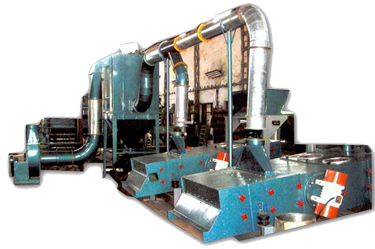 Two vibratory motors fitted on either side of machine develop vibratory movement to enable the material to move on the tray and pass through the perforated screen. The trays having rubber balls for self cleaning of the screens. All big impurities are separated from the top tray from chute "A" and fine dust from the bottom tray chute "B". 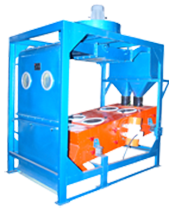 The cleaned seed collected at the front of the machine through the air aspirator, after air washing of the material for further processing.